This week is Smart Eating Week (11-17 February). It is run by Accredited Practising Dietitians (APDs) and supported by the Dietitians Association of Australia. 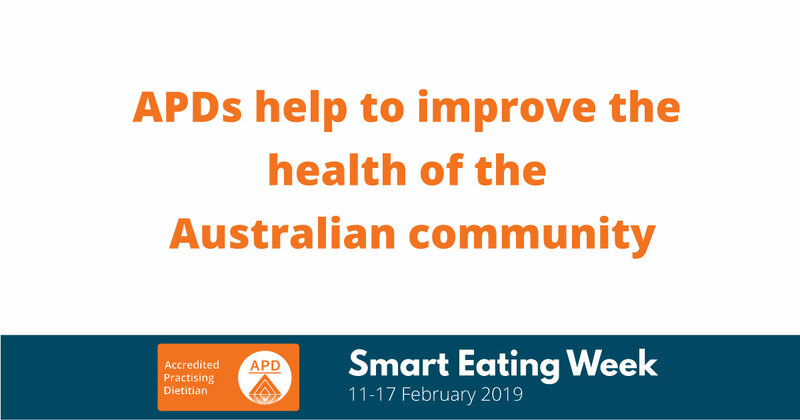 Throughout the week, Your Health Hub will be sharing smart eating tips from our team of Accredited Dietitians. Did You Know That An Accredited Practising Dietitian Can Help You Manage Chronic Disease? Want to find out more about how Smart Eating can benefit you? Our Accredited Practising Dietitians are available for appointment here at Your Health Hub. Phone our reception now at 03 6122 0150 to book your appointment.